Airius are manufacturers of the most effective destratification fan on the market. Now they have conducted a series of tests to demonstrate the back to back performance of the airius units against the most popular competitors. The tests use smoke to reveal how far the airstream from the fans moves, and what the general air circulation pattern is in the space. The test videos highlight how some de-stratification fans can fail to achieve their intended function; i.e moving warm air at high level down to floor level to equalise the temperature in a room or building. Despite claims, some destratification fans don’t deliver the performance quoted in their data sheets. See in this video how a Zoo Fan, claiming to service ceiling heights up to 28 metres, doesn’t even achieve destratification at a mere 17 metres! In the below test the Airius fan is compared with a traditional blade type ceiling sweep fan, and the difference in performance is even more apparent. The ceiling sweep fan doesn’t generate enough vertical downward momemtum to propel the warm air down to floor level, mainly due to the turbulence and radial motion of the air. 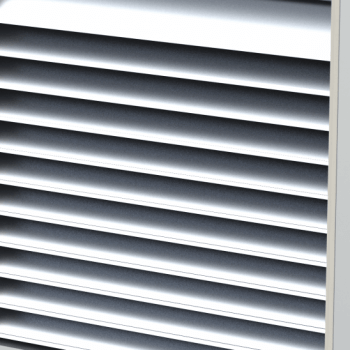 First released in 2004, The Airius Standard Series is the original free-hanging destratification fan used to combat thermal stratification in buildings throughout the world. The Airius Standard Series is available in several models with various motor and control options available to accommodate your building’s unique stratification needs. For more information on airius systems, visit our airius product page or contact us.